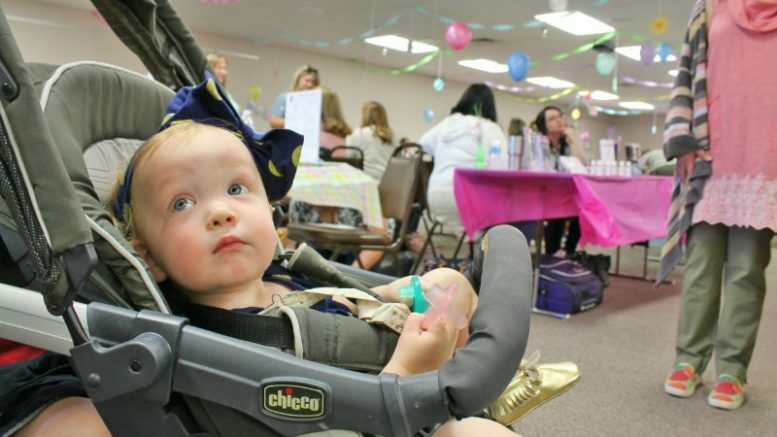 Brooke Curley Photo/ Gila Valley Central: Emily Griffith enjoys a ride in a two-seat stroller while her mom visits the booths at this year's Community Baby Shower. 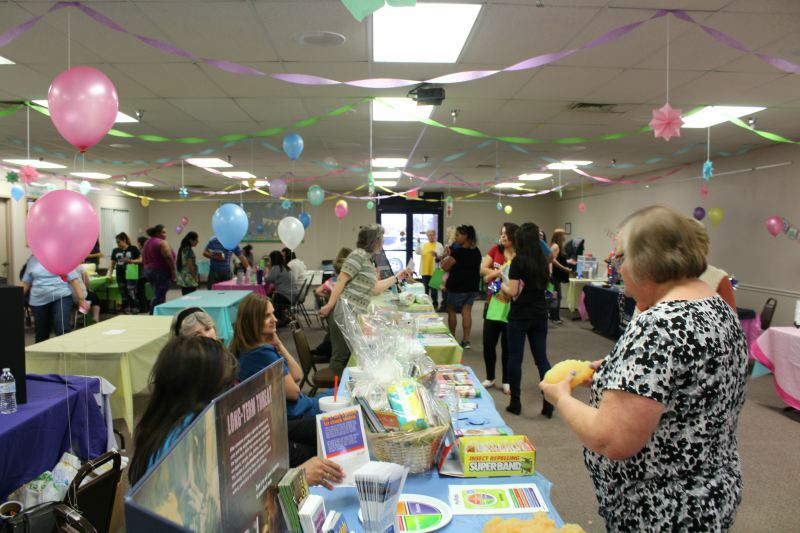 SAFFORD- For expectant parents, parents of young children, and caretakers, the annual Community Baby Shower is an opportunity to learn about local resources. 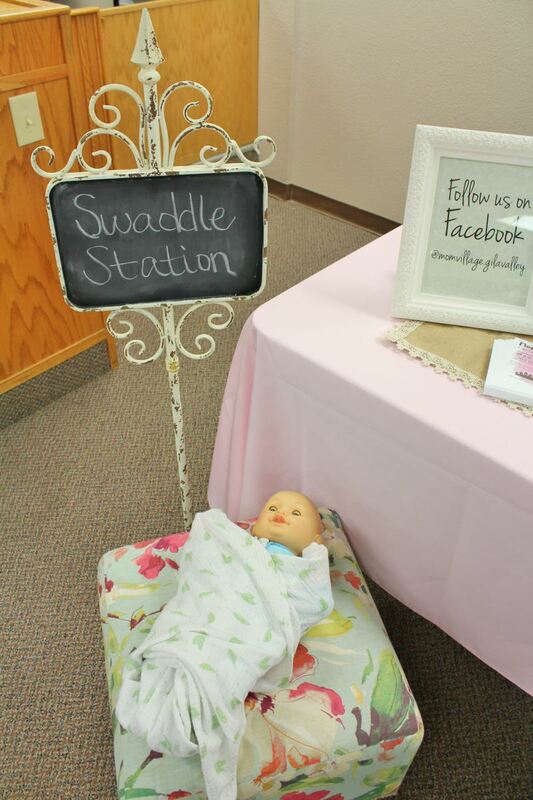 Brooke Curley Photo/ Gila Valley Central: The Swaddle Station is set up for moms to learn how to swaddle their babies. The station was next to the Moms Village booth. 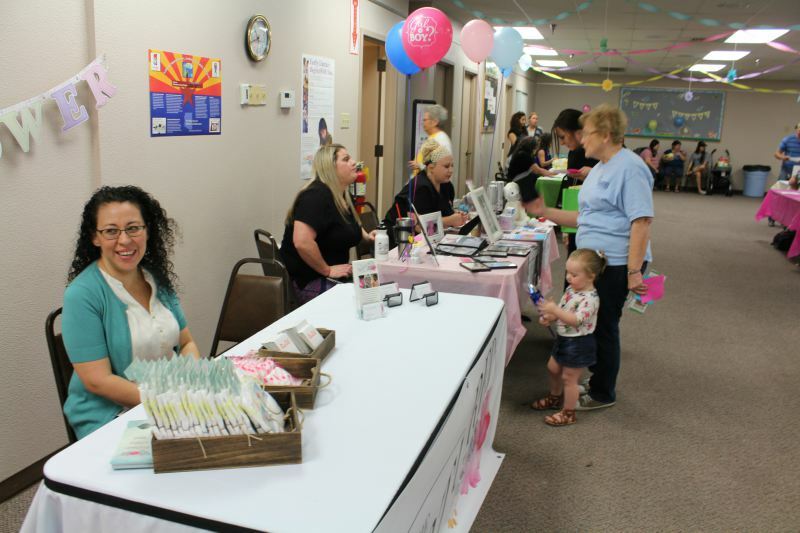 The event was located at Safford City Graham-County Library on Friday morning and was sponsored by First Things First – a statewide organization focused on early childhood development. 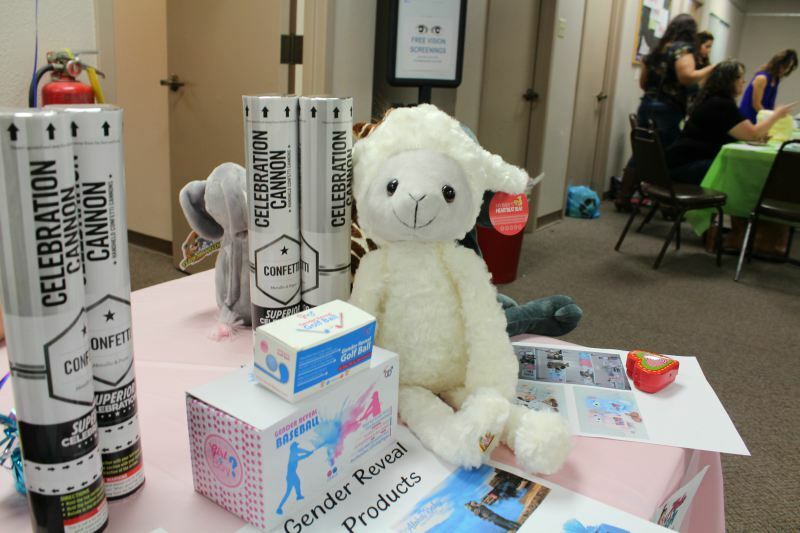 Several organizations relating to childcare had booths set up at the event. The organizations included the Safford Lions Club, which provided infant eye screening, Rex OBGYN Women’s Health Care, Dolly Parton Imagination Library, the Mt. Graham Regional Medical Center and a representative from “The Nurtured Nest”, which offers doula services for labor and postpartum. A doula is a professional trained in childbirth who provides emotional, physical, and educational support to a mother who is expecting, is experiencing labor, or has recently given birth. The doula’s purpose is to help women have a safe, memorable, and empowering birthing experience. There were several newer booths at the shower including a table devoted to Aloha Baby, which is a 3D and 4D ultrasound studio. Also, the Mom Village was represented at the shower. The Mom Village is a support group that meets monthly every first Tuesday at 10:00 a.m and 6:30 pm at the Safford Seventh-Day Adventist church. Brooke Curley Photo/ Gila Valley Central: Many booths were manned by familiar faces to the event, but several were new. The newer additions to the baby shower were the Mom Village and Aloha Baby. The individual in charge of the event, Retha Russell, told Gila Valley Central that by 10:30 am the shower had roughly 110 visitors. As for participating entities, the library had roughly the same amount because of the lack of space. The room only accommodates 20 tables. 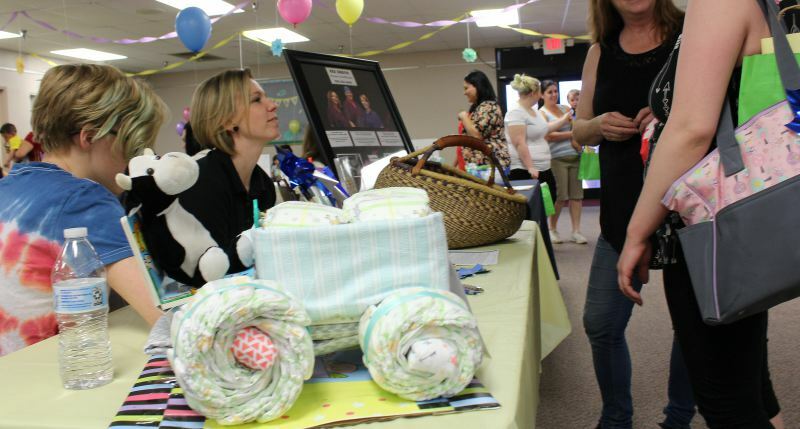 Brooke Curley Photo/ Gila Valley Central: A diaper car looks like a work of art at the Rex OBGYN booth at this year’s Community Baby Shower. Russell said that the baby shower is one of the events that the library looks forward to the most. Also, Russell said that it is the community organizations’ involvement with young families and caregivers.